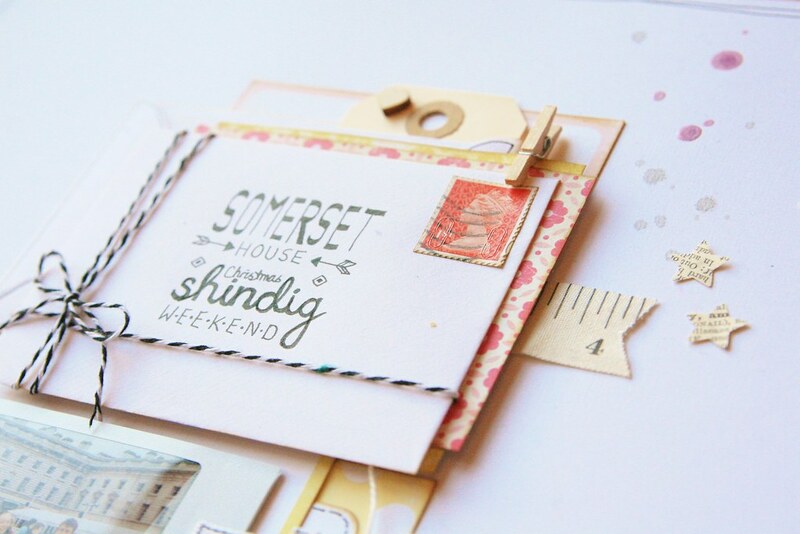 In my last blog post, I shared a page inspired by postal-themed supplies where I wanted each piece of the design to look like it could have tumbled out of an envelope. I loved making it so much that I wanted to try it again! I have also been enjoying trying out different kinds of hand lettering and hand-cutting titles and I love how just being a bit creative with a black pen can have a big impact on my pages. So that's something I think I'm going to keep experimenting with! This page tells the story of my annual Christmas Shindig Weekend where I invite all my friends to crash at mine for the weekend and we eat too much, laugh to much and get unreasonable competitive over the board game Articulate. 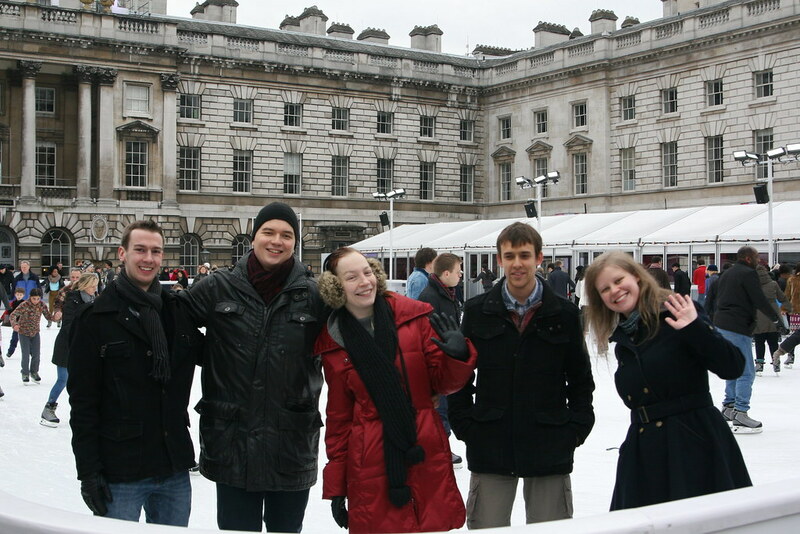 This year, we all went ice skating at Somerset House because I thought it would be twinkly and sparkly and Christmassy. And it was. Plus it was hilarious and gave us the chance to fill the obligatory "annual ice skating quota: do a full lap without holding on and fall over". There's a quote to treasure! The journalling can slide inside the envelope and I have lots of photos to put in a divided page protector facing the layout. P.S. The boyfriend and I went to see Cirque du Soleil this weekend and it was INCREDIBLE! And now I've been to the circus, that's another thing on my list of things to accomplish before I'm 30! 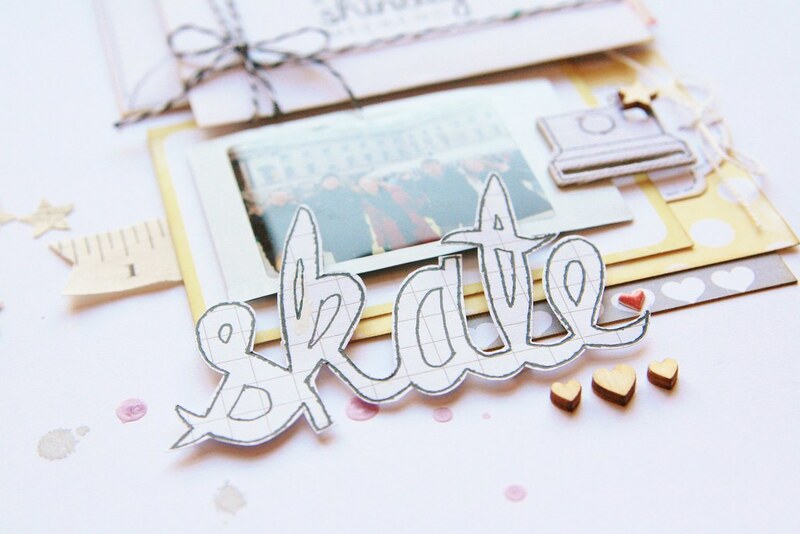 I am seriously loving your hand-lettering and hand-cut titles. Super photo - you look like a bunch who know how to have fun! And I love your page - again. 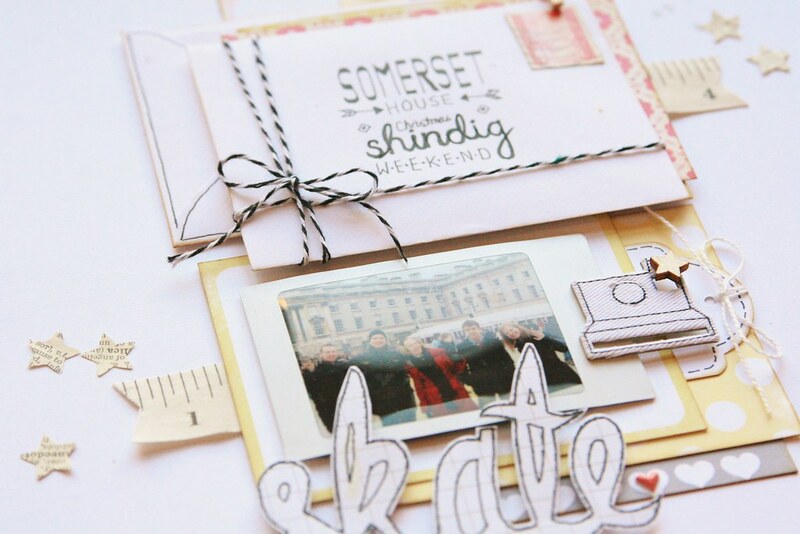 I think I might be asking if I might scraplift :). hand written text looks amazing. and now I want to make hand-cut titles too!